This post was sponsored by Xyzal? Allergy 24HR but all thoughts and opinions are my own. 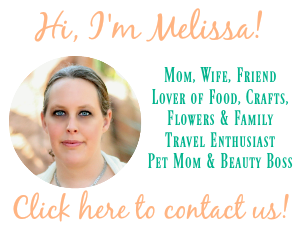 I’ve suffered from allergies for as long as I can remember and it affects my life every day. At any given time, I could randomly have a sneezing fit or start having to wipe my runny nose, constantly. Itchy eyes are a big problem too and even prevent me from wearing my contact lenses some days. But thankfully, I’ve finally found a way to relieve allergy symptoms without a prescription! Allergies can affect me during all hours of the day and just last night, I started getting the runny nose right as I was about to finally fall asleep. 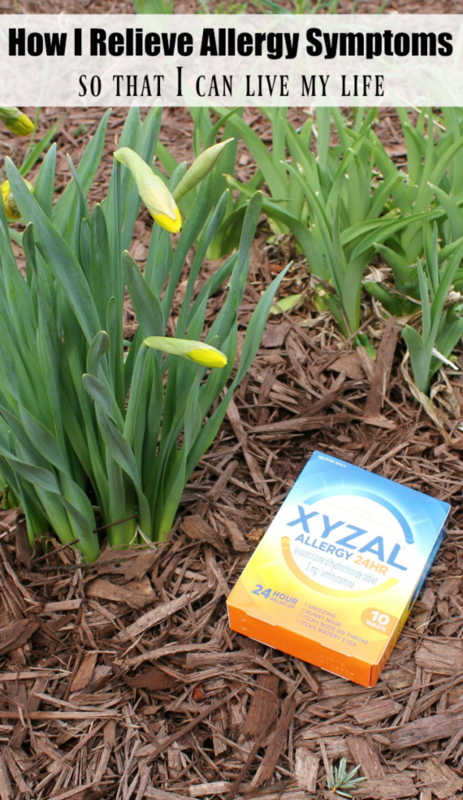 There’s nothing worse than having to go to sleep with a tissue in hand so I reached for the box of Xyzal Allergy 24HR right away. I took one, played some games on my phone and in about an hour, I was feeling relief and able to go to bed. I know, it doesn’t sound too appealing, buy hey, that’s my reality! A recent social experiment actually reinforced that allergy sufferers may have a harder time falling asleep and staying asleep than those who don’t suffer from allergy symptoms. I have to agree. My husband seems to sleep like a baby and sometimes I’m pretty envious of that! The social experiment found that allergy sufferers were also less rested and less physically active during the day than people without allergies. But luckily for me, there’s Xyzal Allergy 24HR, a prescription strength antihistamine that is available over the counter. Its 24 hour relief provides me exactly what I need, and allows me to live my life from the first hour, through the 24th hour. 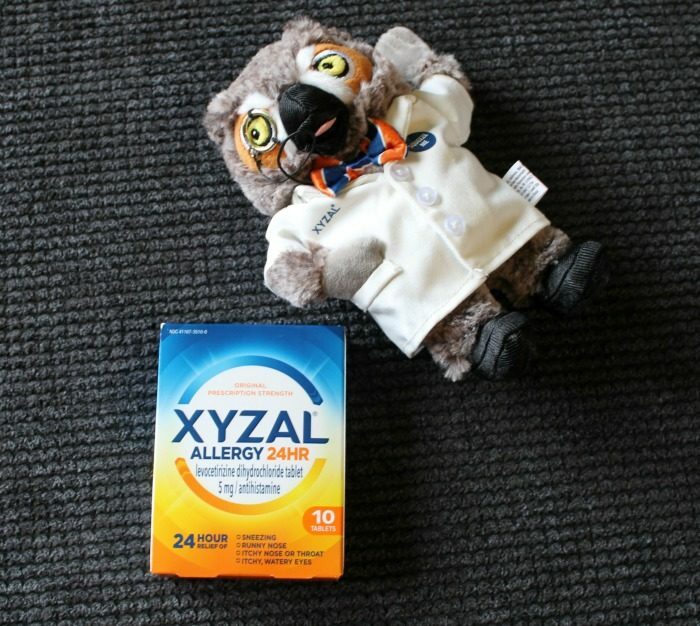 Xyzal Allergy 24HR wants us all to “wise up” and get how important it is to be able to manage our allergies to that we can “rise up” and have more productive days. You can win a ?Wise Up, Rise Up? kit! I received this ?Wise Up, Rise Up? 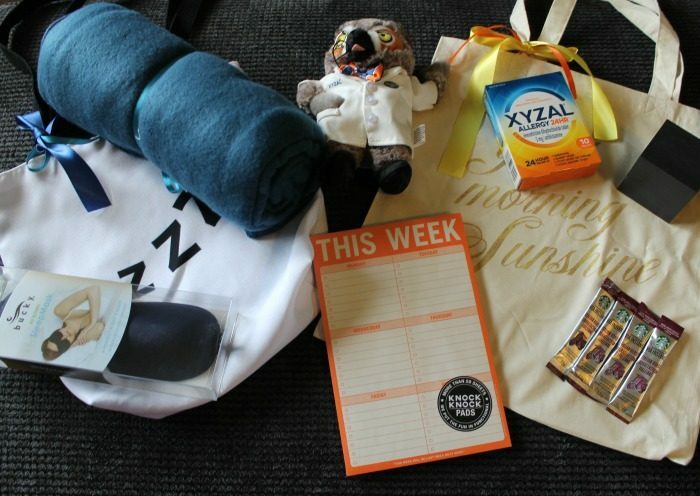 kit from Xyzal full of items to help me get a better night’s sleep and feel better during the day and I’ve got one to give away to you too! To enter, simply follow the instructions on the form below. A winner will be selected at random at 6/15/2017 at 11:59pm?and will be notified via email. This social experiment was sponsored by Sanofi Consumer Healthcare and conducted by Russell Research. It used wearable devices to assess the sleep patterns and activities of 80 allergy sufferers and 80 non-sufferers for 30 consecutive days between October and December 2016. Participants also completed a daily survey to track perceptions of their allergy symptoms (for the 80 allergy sufferers), sleep patterns and activities, as a way to provide additional context for the wearable device data. For the purposes of the experiment, allergy sufferers are defined as those who suffer from moderate or severe indoor and outdoor allergies in the fall or year round, and who take allergy medication 2 days per week or less. I learned about their products, including that they have a children’s version. My Granddaughter suffers from seasonal allergies. I learned they have a children’s from of medication. I learned there’s no prescription required! I learned that XYZAL provides full prescription strength relief that lasts up to 6 times longer than Benadryl and works twice as fast as Claritin.